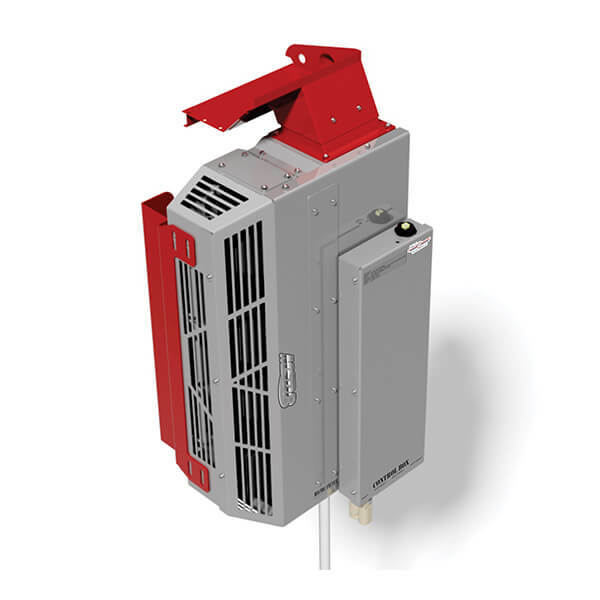 The MSDI8 is a 16kW dual evaporator split air conditioning system. 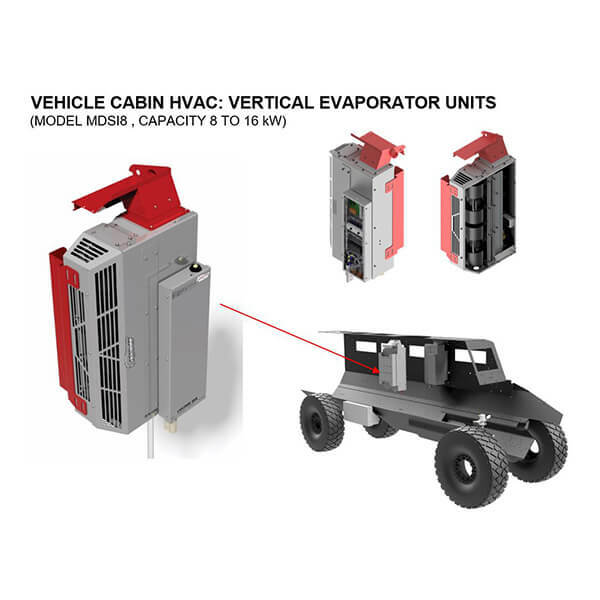 The evaporators are designed to be universal modules which can be mounted in various positions inside a APC. 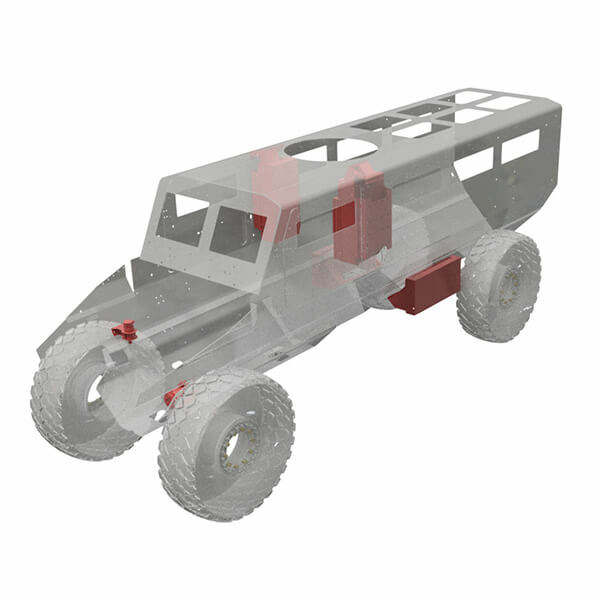 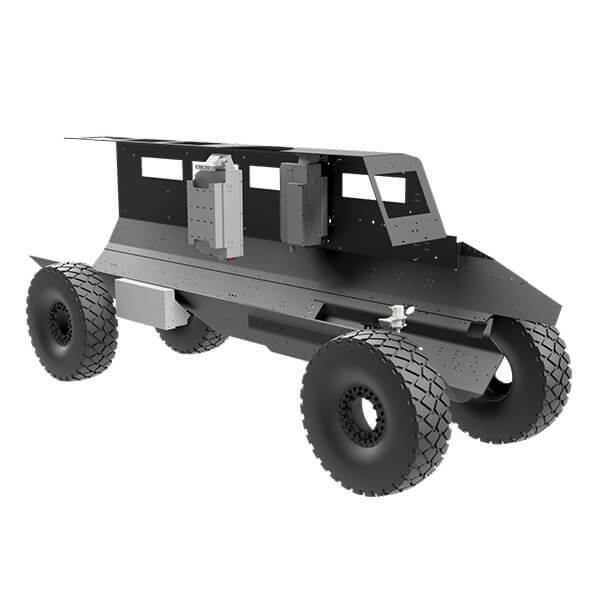 The ducting interface is custom designed to suit the vehicle specific roof/turret layout. 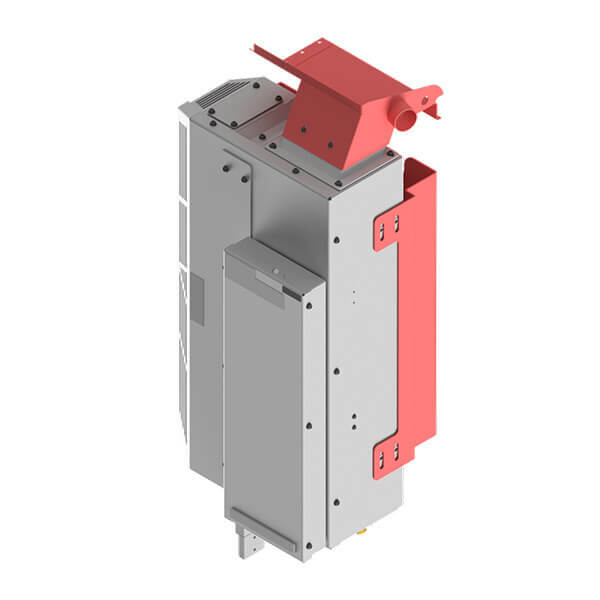 Mounting brackets are designed to suit the required interfaces and each evaporator unit contains two dual scroll blowers. 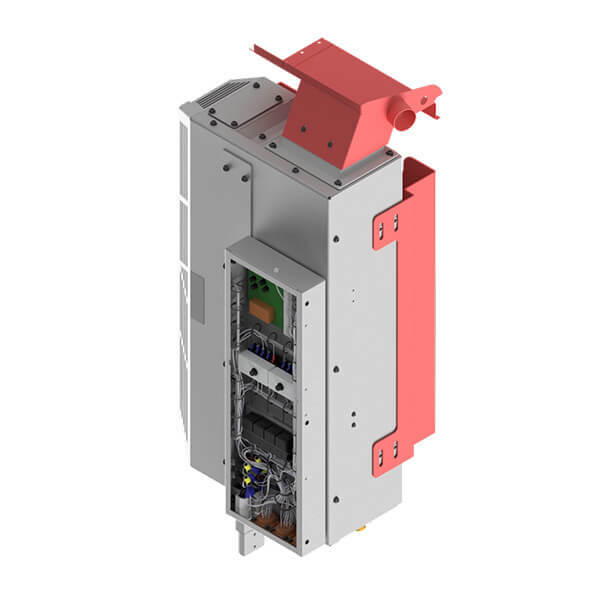 The electrical control box can be mounted on either evaporator enclosure or as a freestanding unit. 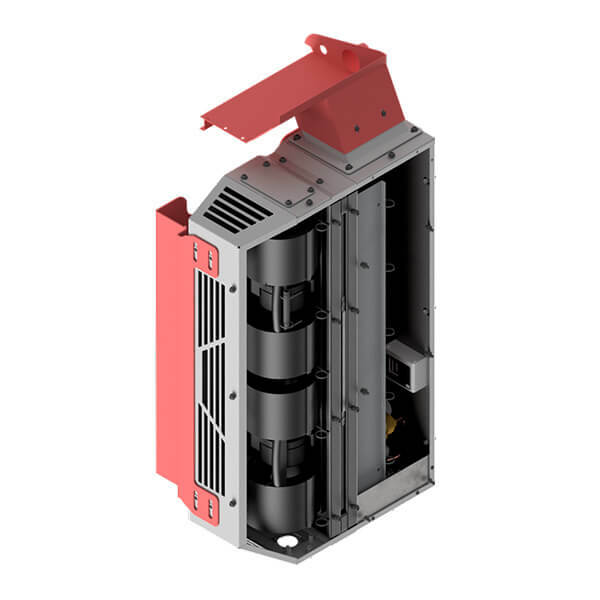 A choice of two condenser configurations are available: A condenser pack which is mounted in front of the engine radiator, or an enclosed condenser unit which is mounted on the outside of the vehicle as a module containing the condenser, heat exchanger, cores and cooling fans. 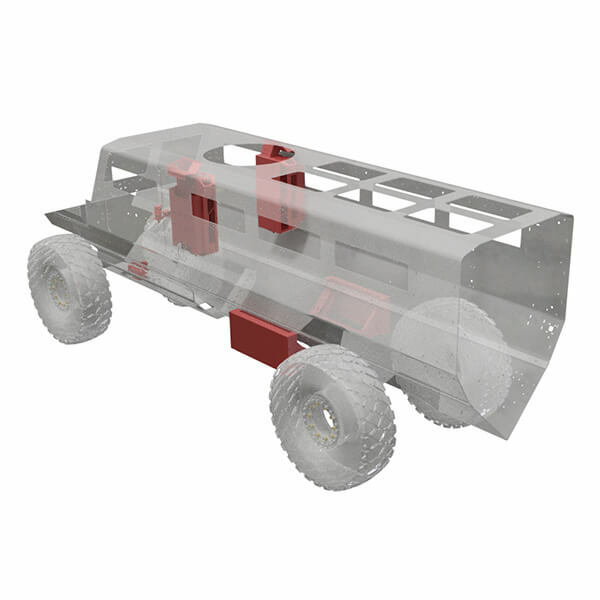 The compressor is mounted to be directly belt driven from the vehicle engine.